Welcome back to my travel post in Langkawi! Today it’s going to be all about water sports and beach activities. I believe everyone knows that Langkawi is famous for its beautiful Cenang Beach where you can lie on the hammock by the beach, take a sip of your favourite pina colada and watch the breathtaking sunset. It is the place where the town gathers for drinks, music and local cuisine. In fact, the beach is always flooded with huge crowd especially couples and families. The best part is, here the party begins at midnight! Good to enjoy the lively upbeat atmosphere during my holiday there. But what makes this place more interesting is that there are plenty of water sports vendors along the beach where you can rent different water sports equipment and spend your day at the sea. During our trip, we pick a half day water sports package by NAAM, the premiere marine leisure water sports company well-known in Langkawi. In fact, NAAM specialises in nature adventures with class, style and technology. The company operates Naam Cruise, Naam Sports and Naam World Travel & Tours under the same umbrella. It comes as no surprise that safety is of the primary concern to many people. Don’t worry, NAAM crew members are well-trained under the best specialists in the world, and it uses only vessels or equipment that meet international standards. Plus, we are briefed with the know-hows in the sea and basic hand language in case of emergencies. We can put our stuff at the counter, and place the more important items into the dry bag duffel provided which is then stored in a small compartment inside the jet ski. With a full insurance coverage and professional guidance by the experienced staff, my first jet-skiing experience just couldn’t be more fun than this! It gives a stream of high-energy adrenaline rush with the blood racing quickly through the veins, especially when the the speed of jet ski goes to 160km/h! 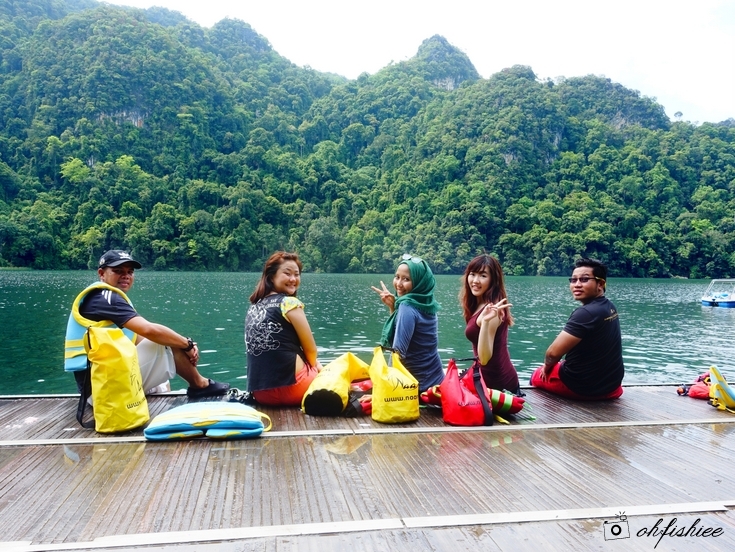 Riding on the jet ski, we get to explore the mangroves and make our way to the limestone pinnacles, then cross age-old caves before we finally arrive at Dayang Bunting Marble Geoforest Park. Lake of the Pregnant Maiden is another great experience on its own. Here we can swim, canoe and enjoy swan pedalling at our own ease. Most importantly, there are convenient store and food stall to kill your hunger pangs after a long day in water. When we are on our way back to the beach, we encounter high tides which seem more challenging for jetskiing. Nevertheless, speeding against the waves with water splashing against the face and body is definitely fun and enjoyable! Returning to the beach, this marks the end of our magnificent journey. 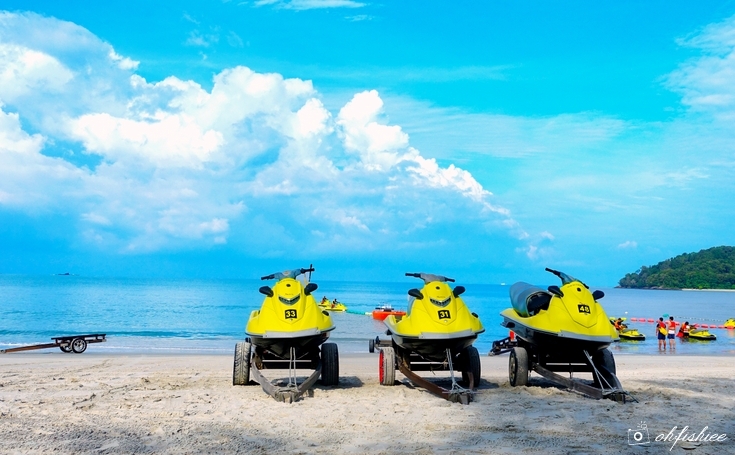 Personally, I feel that island hopping using jet ski is an amazing experience of admiring every facet of Langkawi’s breathtaking beauty. Encompassing 99 enchanting islands with idyllic beaches and spectacular limestone cliffs, Langkawi is definitely worth exploring! If you prefer something other than island hopping, perhaps a Day Cruise, parasailing, snorkelling at Payar Island or 4x4 Adventure Ride may interest you? Anyway, have fun and feel the pulse of life within you!